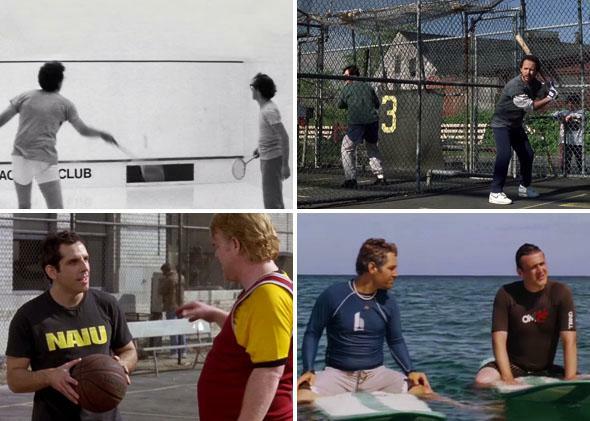 Recsposition supercut: The romantic comedy trope where men express their feelings while playing sports (VIDEO). The only way boys can express their feelings. How do you have your male lead express his feelings about relationships without him looking like a total softy? Have him do it while playing sports. This is the line of thinking romantic comedies have followed again and again, letting men share their feelings only while reassuring us about their masculinity. These men and their best bros don’t talk about relationships while perusing the aisles of the bookstore, trying on clothes, or enjoying wine with a view of the water—that’s for the female lead to do, with her best friend. Instead, the male love interest retreats into traditionally male spaces to discuss his romantic troubles between jumpshots and swings of the bat. Call it recsposition. 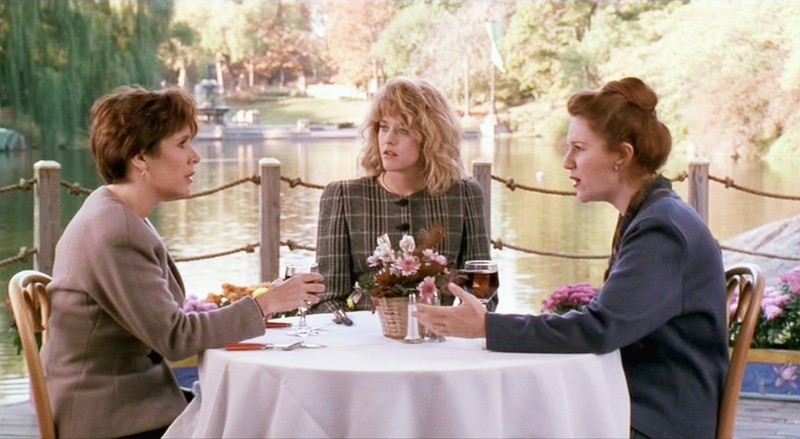 As with so many tropes of the modern romantic comedy, this one seems to have kicked off with the late ’70s work of Woody Allen before formally entering into the rom-com rulebook through When Harry Met Sally (1989). In Manhattan (1979), Woody Allen’s Isaac talks about the affairs of the heart over squash. In When Harry Met Sally, Harry reflects on his love life during batting practice, power walking, and a rendition of the wave. It’s only gotten more over-the-top since. In Failure to Launch (2006), Matthew McConaughey’s stunted male protagonist and his two best bros (Bradley Cooper and Justin Bartha) talk about his progress as a viable mate while surfing, rock climbing, mountain biking, paintballing, and (more progressively, perhaps) doing yoga. Now that this trope has been parodied in They Came Together (2014), perhaps it will finally come to an end. Or maybe it will live on for as long as male insecurities and gender stereotypes endure. If this supercut doesn’t kill it, perhaps we’ll come back with a compilation of the female-stereotype equivalent, which has women talking about their failure to find a man while shopping. We could call that AmEx-position.